BEIJING — In a mountain valley in Kashmir, plans are underway for Chinese engineers guarded by Pakistani forces to expand the lofty Karakoram Highway in a project that is stirring diplomatic friction with India. Others worry China might undermine human rights, environmental and other standards for lending or leave poor countries burdened with debt. India is unhappy that Chinese state-owned companies are working in the Pakistani-held part of Kashmir, the Himalayan region claimed by both sides. Indian leaders see that as an endorsement of Pakistani control. "We have some serious reservations about it, because of sovereignty issues," said India's finance and defense minister, Arun Jaitley, at an Asian Development Bank meeting this month in Yokohama, Japan. China has tried previously to mollify Indian anxiety by saying in January its highway work "targets no third country." China's new Silk Road initiative is ramping up as President Donald Trump focuses on domestic issues, downplaying foreign affairs. American officials say Washington wants to work with China on infrastructure. But some diplomats and political analysts say Beijing is trying to create a political and economic network centered on China, push the United States out of the region and rewrite rules on trade and security. "China is trying to change the way the political structure of the region works," said William A. Callahan, an international relations specialist at the London School of Economics. "We will have to see whether it can achieve this." Trump's decision to pull out of the proposed 12-nation Trans-Pacific Partnership deprives China's neighbors of a tool they hoped would counter its rising influence, said Max Baucus, the U.S. ambassador to Beijing until January. Baucus called the move a "large geopolitical mistake." "Southeast Asian countries would tell me 'We want you, we want the TPP, then we can balance China with the United States. But when you're not there, there is a void that China's going to fill,'" Baucus told The Associated Press. Details such as financing are vague. But since Xi announced it in 2013, Beijing has launched dozens of projects from railways in Tajikistan, Thailand and Kenya to power plants in Vietnam and Kyrgyzstan, financed mostly by Chinese loans. Countries including Pakistan and Afghanistan welcome it as a path out of poverty. India, Indonesia and others want investment but are wary of Chinese strategic ambitions, especially after Beijing started building artificial islands to enforce its claim to most of the South China Sea, a busy trade route. Russian President Vladimir Putin responded last June by proposing a "Great Eurasia Project," with Beijing leading on economics and Moscow on politics and security. "This vision enables the Kremlin to maintain an appearance that it retains the political initiative in its neighborhood," Marcin Kaczmarski and Witold Rodkiewicz said in a report for the Center for Eastern Studies, a Warsaw think tank. Perhaps trying to defuse unease, China has invited governments to a two-day forum starting Sunday and led by Xi to "brainstorm on interconnected development." Leaders from 28 countries including Putin are due to attend, but none from major Western countries. "One Belt, One Road" is the biggest of a series of initiatives launched by Beijing in the past decade in pursuit of global influence to match its economic success. Starting in 2004, the communist government opened Confucius Institutes with universities in Asia, Europe and the Americas to teach Chinese language and culture. After the 2008 global crisis, Beijing lobbied successfully for more voting rights in the U.S.- and European-dominated World Bank and International Monetary Fund. 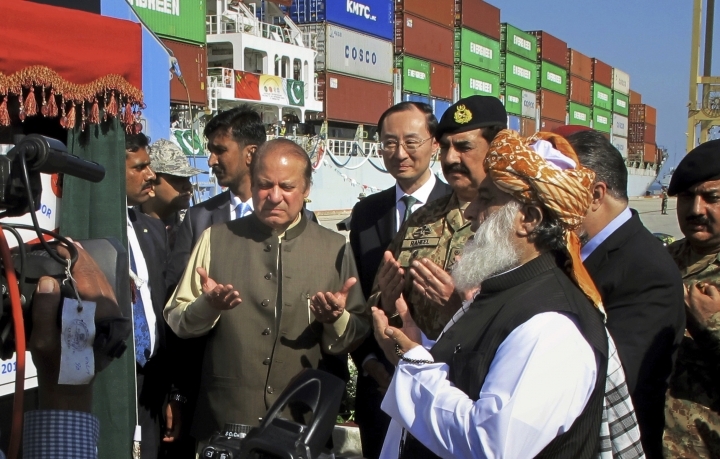 Chinese officials reject suggestions "One Belt, One Road" is a power play by Beijing. "The Chinese government has never wished to control any other country's government," a Cabinet official, Ou Xiaoli, told The AP. "We feel in contacts between countries, we need to talk about studying benefits, studying mutual profit." 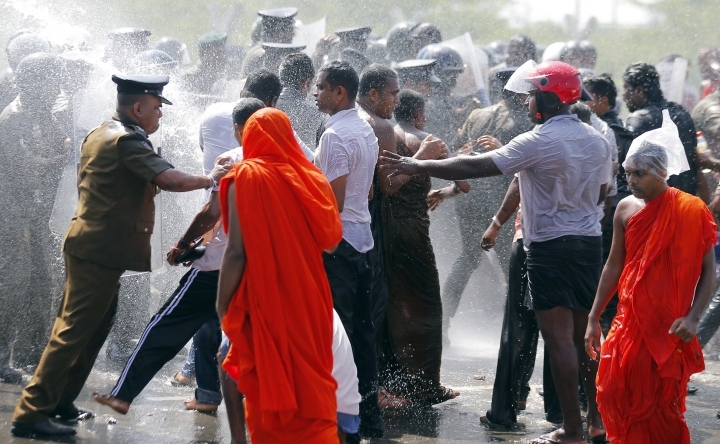 Sri Lanka's former president suffered a surprise election defeat in 2015 after his challenger criticized him for running up an estimated $5 billion in debt to China. Villagers protesting a $1.2 billion Chinese port project there violently clashed with government supporters as recently as January. China often is the only entity willing to finance big projects in poor countries. That gives Beijing leverage to require use of Chinese builders and technology. The state-run China Development Bank announced in 2015 it had set aside $890 billion for more than 900 "One Belt, One Road" projects across 60 countries in gas, minerals, power, telecoms, infrastructure and farming. This year, the government's Export-Import Bank of China said it would finance 1,000 projects in 49 countries. Beijing will provide only part of the financing and wants projects to attract private investors, Ou said. "We must consider economic viability," he said. Japan has given Southeast Asian governments tens of billions of dollars in grants or low-interest loans. The Asian Development Bank lent $32 billion last year. U.S. allies Britain, South Korea and Australia signed on as founding members of the Chinese-led Asian Infrastructure Investment Bank, launched in 2015 to finance roads, ports and other projects. The U.S. and Japan have so far stayed away. Ou said AIIB will operate separately from "One Belt, One Road" and any loans made by the bank will be decided independently. In Pakistan, the proposed $1.3 billion effort to expand the Karakoram Highway is part of the China-Pakistan Economic Corridor, which involves dozens of projects including power plants, roads and railways spanning the length of the country. 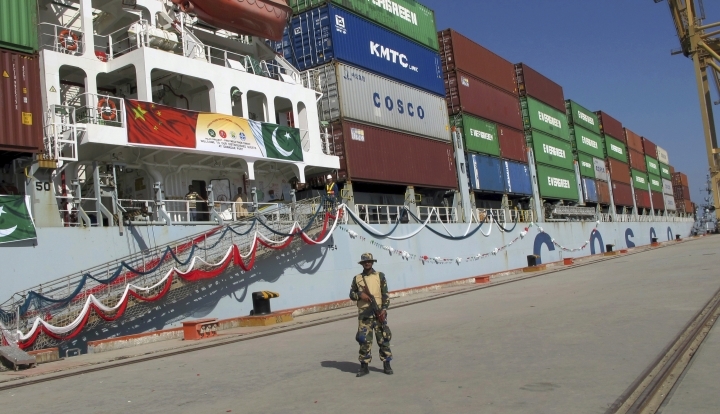 It links China's far western region of Xinjiang with the Chinese-built port of Gwadar on the Indian Ocean. "It threatens no one. It benefits all, most of all the common man who shall see a boom in jobs and businesses," Pakistani Prime Minister Nawaz Sharif said in April. "One Belt, One Road" could help China's exporters by encouraging countries to adopt its industrial standards for railways and other products, locking buyers into sticking with them for repairs or additional technologies. China's premier has cited the promoting of Chinese standards abroad as one of Beijing's goals. This has some countries in the region concerned about China's dominance, Baucus said. "'We're going to have to bow to their standards and if they're Chinese standards, then Chinese companies are going to have an advantage over our companies in our country,'" the former U.S. ambassador described officials as telling him. "They're very concerned." Chinese rail technology is poised to make inroads into the European Union with a plan for state-owned companies to build a high-speed line from Budapest, capital of EU member Hungary, to Belgrade in neighboring Serbia. The $2.9 billion project, financed by Beijing, faces obstacles after EU officials said they will look into whether Hungary broke trade bloc rules by agreeing to the Chinese deal without competitive bidding. 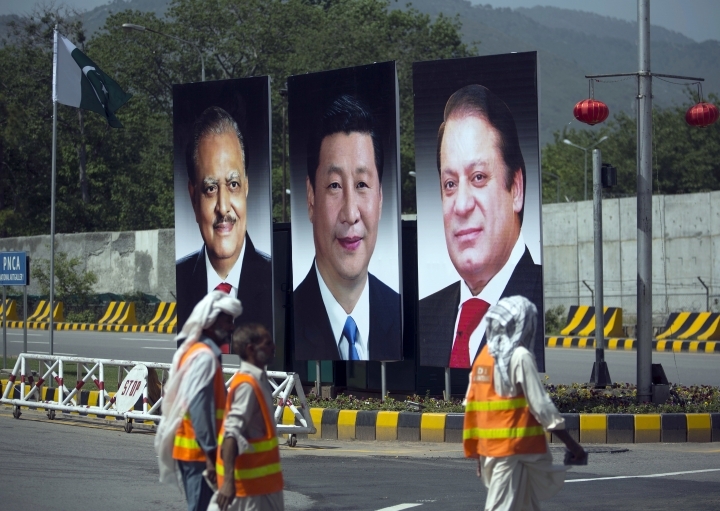 "China is giving most contracts for energy projects to its own companies without even consulting Pakistan," said Azeem Khalid, a lecturer at the Commission on Science and Technology for Sustainable Development in the South, a non-government group in Islamabad. "I feel that our several generations will have to repay these Chinese loans for decades." In Indonesia, the Chinese effort could fit with President Joko "Jokowi" Widodo's "Maritime Axis Policy" to transform the country into a sea power. China muscled aside Japan in 2015 to win a contract to build a $5.2 billion high-speed rail line from the capital, Jakarta, to the city of Bandung. "The Jokowi government must balance its desire for capital and expertise with a need to guard against a populist, anti-Chinese backlash," said Hugo Brennan, an analyst at political risk firm Verisk Maplecroft. Ahmed reported from Islamabad. AP writers Stephen Wright in Jakarta, Indonesia, Matthew Pennington in Washington and Muneeza Naqvi in New Delhi contributed to this report.